No drink is more identifiable with Spain than sangria. The traditional ingredients in sangria include red or white wine mixed with fruits, such as pineapple, nectarines, pears, apples, peaches, and other fruit. Get a jug with a meal while sitting out on a sunny terrace before retiring for an afternoon siesta. Unfortunately, as with most cliches and stereotypes, the real situation is different from the popular conception. Not everyone drinks sangria in Spain, though. 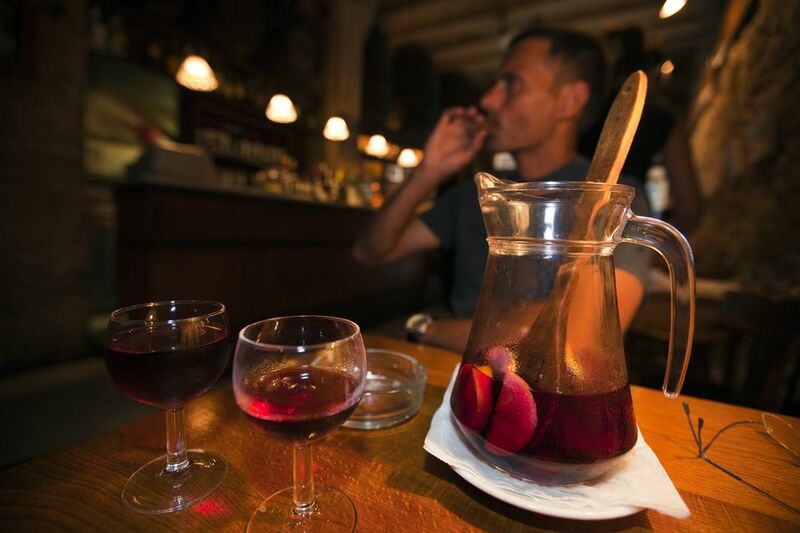 In fact, most natives drink beer in Spain, and you often won't get real sangria in many bars and restaurants. Why? Sangria is a punch, and like punches elsewhere, it's a drink typically reserved for serving large groups — or for disguising the taste of cheap alcoholic drinks. Spaniards don't typically order sangria in restaurants, so the versions you'll try in cafes are essentially made for tourists. Language tip: Consider ordering a tinto de verano instead of sangria. The mix of red wine and lemon Fanta is refreshing and sweet like a sangria, but much more authentic. The gin and tonic didn't originate in Spain, but it was perfected here. Spaniards not only adopted the humble G&T as their sophisticated mixed drink of choice, they also cloned it and created a supercharged version that will wipe the floor with the Gordon's and Schweppes you're used to. The Spanish serve their G&Ts with a premium tonic and, in most cases, a highly inventive garnish. Language Tip: The Spanish word for gin is ginebra (the same as the Swiss city of Geneva, where gin ultimately gets its name from) and tonic is tónica, but the G&T is simply called a gin-tónic. Spanish cider is arguably one of Spain's least-known drinks, and it's a treat for true cider fans. Unlike its sweet and fizzy counterparts in England and northern Europe, Spanish-style cider is tart, dry, and a fantastic alternative to your usual pint or copa de vino. Spanish cider is only widely available in Asturias and the Basque country, but its originality makes it that much more fun: The drink has to be poured from about a foot above the glass, reducing acidity and aerating the brew. Your other option? Drink it straight from the barrel. Language Tip: Cider in Spain is called sidra. Your best bet for sampling Andalusia's famed fortified wine is to go to its home base. Sherry comes from the city of Jerez in Andalusia. In fact, it's called sherry because the Arabic name for Jerez is Sherish—and the town is packed with tabancos, or small bars where you can sample glasses of sherry, refill your own bottles, graze on tapas, and even catch live flamenco shows. Language Tip: The word sherry isn't widely understood in Spain. Instead, call it vino de Jerez (simply translated "wine from Jerez"). Vermouth may be Italian (the sweet stuff, at least), but it has a long history in Spain, particularly in Catalonia and Madrid. Locals have a name for when you drink it: "la hora del vermut," which essential means "vermouth o'clock" and comes just before lunch. Vermouth is on the comeback trail, with classic vermuterias fuller than they've been in years and trendy bars all over the country selling 'vermut casero' (homemade vermouth). Language Tip: The Spanish word for vermouth, vermut, is close to the original German word wermut, which means "wormwood" — one of the original ingredients. No breakfast in Spain is complete without a coffee. Coffee in Spain is served in many ways, but Americano is not one of them. Prepare to drink espresso, whether solo or mixed with milk. Cola Cao: hot chocolate or cocoa (Cola Cao is a popular brand name). This is not to be confused with Cacaolat, a chocolate milk drink brand almost always served cold (though it is actually nice hot, too). This is rarely available outside Barcelona but is worth a try if you can find it. Chocolate: a thick hot chocolate, which is very different from the above Cola Cao. In fact, you might want to use a spoon! Beer is, without question, the staple alcoholic drink for young and old in Spain. Although the craft beer trend has made its way to Spain, the Spanish don't tend to be very particular about which beer they drink. Most bars only serve one beer on tap—typically San Miguel or Cruzcampo. While the French have Champagne, the Spanish have Cava, a sparkling wine made using the exact same process as its French counterpart. Even better? Cava retails at a fraction of the price of Champagne. Most Cavas are made in Catalonia, located in northeastern Spain. Language tip: European Union protections forbid Cava from being labeled Champagne, but Spaniards still colloquially refer to the bubbly as champaña or xampany (in Catalonia). 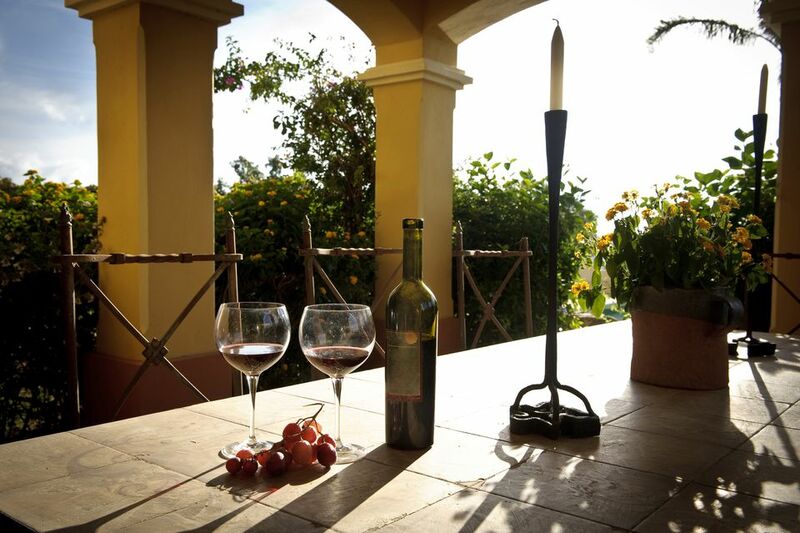 Spain has been producing wine for nearly 2,000 years, which means you'll find a variety of bottles at all price points. Two wine regions stand out: La Rioja is famous for red wines, especially tempranillos, while Ribera del Duero produces many of the country's luxury vintages. Of note: Spain produces plenty of terrific wine, but it also makes a lot of inexpensive wine. This makes it acceptable to do like the Spaniards and dilute vino with soft drinks. Tinto de verano: red wine and lemonade, like a poor man's sangria but, frankly, better! Spanish hot chocolate is nothing like the Swiss Miss you drank growing up. In fact, it's more similar to a ganache than a drink. Do like the Spanish do and dunk your churros in the treat for a great breakfast—or a fortifying post-nightclub snack. Language tip: In Spanish, practically every letter is pronounced in the word chocolate: choh-coh-LAH-teh. Horchata (orxata in Catalan) is widely available throughout Catalonia, and it's particularly popular in Valencia. Instead of the milky rice blend you'll find in Latin America, Spaniards make this cold and refreshing drink with tiger nuts, water, and sugar. You'll find bars and street stands serving homemade versions during merienda, the late-afternoon snack that bridges the gap between lunch and Spain's notoriously late dinners. If you're especially peckish, tack on an of order fartons, long, sweet pastries made for dipping in the drink. Language tip: An almond version of the drink is popular in Cordoba; look for horchata de almendras.